Brooklyn Main Engine Start is the first beer out of the gate of Brooklyn's spanking new brewhouse, and it's a cool lesser-known Belgian style: the Abbey "singel," which is the lightest of the Trappist styles. Traditionally drunk at lunchtime (but then, so am I), singels are a simpler, lower-alcohol alternative to the better-known and more wallop-packing dubbels and tripels. This particular one is only 6% ABV, which is apple juice for most of today's DIPA and quad lovers. Main Engine Start pours a surprisingly clear (according to the brewery it's unfiltered) toasted straw gold color with an unassuming one-finger head but solid lacing. The nose is an appropriate and textbook mix of Belgian yeast esters, spice and florals, with banana and coriander dominating and a biscuity undertone (my favorite local bistro occasionally offers a dessert with a coriander biscuit--I thought of it immediately). Nothing earth-shattering, nothing out of place, and the lack of booze with such unmistakeable Belgian character is surprising at first. Initial sips seem almost too delicate on the mid-palate for the light-as-a-feather, bone-dry hop finish, but that's the style. Soon I found myself loving the crisp leanness of the beer, especially with my breakfast of smoked salmon on crackers with cream cheese and fresh dill. The finish is as dry as a Brit's sense of humor and really enjoyable thanks to Slovenian Aurora hops; it's got just enough attitude to remind you once again that this is a Belgian, not a German. This brew is quite quaffable on its own but really comes to life with food; with a cheese platter, goat cheese salad or other picnic-y fare, it's the perfect solution to a desire for vibrant flavor without high strength. A good chance to try this relatively rare style. We're working to sort though all of the last-minute preparations, but our event tomorrow afternoon -- to benefit The Cody Center for Autism and Developmental Disabilities at Stony Brook University -- is going to be a great time for our attendees. If the weather forecasters are to believed, we're going to have a gorgeous spring afternoon on the North Fork tomorrow, come out and join us, have some food and wine -- and support this important charity! 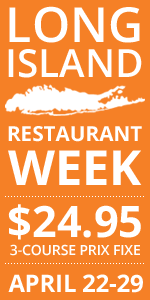 To order tickets: Call Valerie Hallock at Peconic Bay Winery 631-734-7361. "It's a rare day when a bridge gets burned. It seems that in the Finger Lakes, you can move around in the wine industry and keep your relationships strong with previous employers and colleagues. That's one of the great attributes of this region." So says Derek Wilber (pictured right), the outgoing president and winemaker of White Springs Winery on Seneca Lake, and the once-and-future winemaker at Swedish Hill on Cayuga Lake. Wilber, who worked at Swedish Hill from 2000 to 2005, will return next week to take over for Ian Barry, who heads west to lead the winemaking operation at Keuka Lake Vineyards. It is a series of moves that will likely not impact the average consumer very much, and that's unusual with so much change. But for everyone involved, it means a drastic change in roles. Ian Barry (pictured left) has been responsible for roughly 80,000 cases of wine each year (a very large number in the Finger Lakes region). At Keuka Lake Vineyards, he'll make around 3,000 cases. "At Swedish Hill, I spent a lot of time managing workflow," Barry says, while crediting Swedish Hill for investing in a large staff and high-end equipment. "At KLV, it's just going to be me in the cellar. I'll know exactly what's been going on with every wine at all times. And, ultimately, I feel like I'll be able to spend more time with the wine." Keuka Lake Vineyards has expanded the riesling program in recent years, and Barry has tasted alongside his friend Staci Nugent, the current winemaker who has decided to move on to other career pursuits. Barry has high praise for Nugent and for the ambitions of KLV owner Mel Goldman. "I've always found their rieslings in particular to be among the best in the Finger Lakes," Barry says. "The mineral-driven style with racy acidity has always been a style that appeals to me, and I think they're doing it really well." He adds, "Mel has no desire to grow the business very big. He plans to keep it small and focus on quality, and develop a following for his wines." Wilber says a large business can still be a family business, and that defines Swedish Hill. "I'm excited to go back," he says. "The Petersons have always been great people to work for." In recent years, Barry has led Swedish Hill to a long list of industry honors, and Wilber praises his colleague for it. "This is a real good fit for me, but certainly Ian's shoes will be big to fill." As one of the most visible Finger Lakes wineries, Swedish Hill has guaranteed stability with the return of an experienced winemaker like Wilber. But Wilber admits that leaving White Springs Winery is difficult, and his move was prompted by the very public attempts to sell the winery. "Since this business was put up for sale, I've kept my eyes and ears open," Wilber says. "I didn't go looking for work, but I also had no guarantee of my current position if the winery is sold. You just never know, and so when Swedish Hill called, it felt right." Wilber will consult for White Springs Winery and professes his desire to see it sold to someone who will keep the business operating as a winery. "We've really gained some good understanding of what this land is capable of in the past five years," Wilber says. "It's tough to walk away from that. You do it with a heavy heart. But that doesn't mean the next owners won't see the same potential." A listing by the Pyramid Brokerage Company shows White Springs Winery for sale at a price of $5 million. After substantial investments to grow the brand, improve the tasting room, and modernize the winery, White Springs will eventually have its future determined by new owners. Wilber thinks wine lovers won't see much change. "I don't see any reason why that would be the case," he says. "We'll all do our part to preserve what they've started." There are a surprisingly large number of people who email me -- usually at least once a year -- telling me that it's time once again for their next trip to Long Island wine country. I've come to understand their palates to varying degrees, so I can usually point them to wines and wineries that I'm particularly excited about at the time their emails come in. Inevitably they want to know if there is a new or new-to-them winery that they have to check out. Of late, my answer has been "Yes." The winery? Clovis Point. Clovis Point isn't exactly new. They opened in late 2006, but they have steadily worked their way into my recommendations list. This is mostly a red wine house -- with two chardonnay bottlings available as well -- and the merlots over-deliver. Clovis Point 2005 Merlot ($25), is ripe but not overly so on the nose with sweet red cherry and red raspberry fruit layered with thyme and sage herbal notes, a bit of sweet cedar and a earthy and savory mushroom quality, probably the result of 20% cabernet franc in the cuvee. On the medium-bodied palate, the primary fruit takes a half-step backwards so that flavors of earth, tobacco, roasted nuts and dried herbs take center stage. The sweet cherry and dried cranberry flavors are right there too. Dry and a bit rustic, with slightly astringent tannins this wine is one that shows good balance and length, finishing on a dried autumn leaf note. On the second and third day opens, earthy and spicy qualities really emerge as the fruit begins to fade. There will come a time, long after we are dead, when writers and researchers will wonder who some of us were. Not that we existed, but who we were to our core, what drove us, how we responded to challenge and tragedy. I suspect that the ease of communication in the modern era will make a full accounting of written communication more difficult for researchers. After all, who keeps many emails or text messages in the way we once filed letters away? We can be thankful that M.F.K. Fisher came to prominence in an era that required hand-written and type-written notes and letters. And we can be thankful that such records, carefully preserved, found a thoughtful writer in Anne Zimmerman to make sense of them. An Extravagant Hunger: The Passionate Years of M.F.K. Fisher is an extraordinary book, careful and diligent and often wise in its estimation of the famous food writer. Most impressively, it's an outstanding read, a true page-turner in league with the best narrative non-fiction. Author Anne Zimmerman clearly spent many, many days studying the letters and writings of M.F.K. Fisher. Zimmerman seeks to tell the story of who Fisher was (and what led her to become the woman she was) in her early years. The book covers Fisher's childhood through her second marriage, which ended tragically. It is simply fun and inspiring to read M.F.K. Fisher in her own private words instead of trying to decipher the woman through her public writings. Zimmerman does not overwhelm the narrative with excerpts, but uses them nourishingly and effectively. And we find that Fisher was undeniably a tremendous writer, as even her daily musings sound effortlessly poetic. But it is also an emotional grind to follow the passionate years of Mary Frances Kennedy Fisher, because they are often wrenchingly sad. From Fisher's misguided first marriage to her loss of the true love of her life, we journey around the world and back with a young woman who seems followed by sadness. It is easy, thanks to Zimmerman, to understand why M.F.K. Fisher became so enamored with food. Her first view of food was literally of forbidden fruit, thanks to a traditional grandmother. Then food became the outlet for her creativity and her passion, rising while her relationships fell. Zimmerman relied on letters, but she was cleverly selective in sketching the portrait of the young M.F.K. Fisher. Zimmerman notes that Fisher's letters home from Europe often contradicted her other writings, so instead the author uses the more frank and intimate letters from friends to Fisher and her responses to them. Those are the moments when even the enigmatic M.F.K. Fisher could hardly obfuscate. Zimmerman trims away the confusion to allow a clear view of this remarkable writer. M.F.K. Fisher could easily have been a modern-day blogger. That is not a pejorative. The great food writer would chronicle each meal and write in bursts, and blog writers are wise to study Fisher's work. In the end, readers are likely to feel satisfied and nourished, having experienced just enough spice to keep the book interesting. That is, it turns out, exactly what M.F.K. Fisher loved most about food. Whether Zimmerman attempted to parallel that with her writing, we don't know, but she pulls it off beautifully. The language only rarely attempts to dazzle, like a carefully spiced dish that allows each element to shine without one ever overwhelming another. Anne Zimmerman should be proud of her work. It seems certain that M.F.K. Fisher would be. Curious how Rich Olsen-Harbich with his terroir-driven, low-touch winemaking philosophy will change the portfolio at Bedell Cellars, where he took over head winemaking duties over the summer? The Bedell Cellars 2010 Taste Rose ($18) is your first opportunity to taste for yourself. This wine, which replaces the Domaine CC Rose in the Bedell/Corey Creek lineup is dominated by merlot (62%) with cabernet franc (27%), syrah (7%) and petit verdot (4%) -- all intended for rose rather than saignee, whole-cluster pressed and fermented with ambient yeast. The nose bursts with a distinct passion fruit-meets-guava aroma with notes of peach, strawberry, blood orange and a touch of earthy spice and sage. On the dry, medium-bodied palate the flavors lean a bit more towards red fruit -- particularly strawberry and red raspberry -- with a dose of passion fruit and blood orange. In the background, there is a nice herbal component some peppery spice. Not as racy as some local roses, there is still nice, fresh acidity here and a bit of tannin as well. They are subtle but add a bit of structure. Can you see how much fun we had on Saturday? We were overwhelmed with the turnout for the official book launch event at the New York Wine and Culinary Center for Summer in a Glass. That's Fred Merwarth of Hermann J. Wiemer on my left and Johannes Reinhardt of Anthony Road Wine Company on my right. Johannes and Fred kept the crowd entertained with stories of their personal journies (if you haven't heard it, you must ask Fred about Hermann's fib when Fred first went to work for Wiemer). There was a moment when the room burst into applause in support of Johannes and his quest to earn permanent status in this country. And the quality of the questions from the audience when it came to winemaking was off the charts. As you might guess, the wines were cheered at every step. If we missed you Saturday, see you soon at one of the events found on this page. Our thanks to Chrys Baldwin, Shannon Brock, and the staff at the NYWCC. And our thanks again to Fred and Johannes for giving their time and energy to make for a truly memorable event. That stinging phrase, “for what it is…” is the comment that sinks and supplants the “world class” argument every time, and I’ve tried to count how often I’ve heard it over the years. As if further explanation were even required at this point, let me posit the possibility of a Pauillac or a Volnay being described the same way -- not likely. But this malignant axiom gets attached to places like Chile and Argentina, though less so recently, and to more obscure places who exist in the shadow of more reputable neighbors. Minor appellations like the Cotes de Bourg, Languedoc, Anjou, Toro, Rufina, Michigan and Niagara...even whole grape varieties aren’t immune to similar treatment. Expectations are naturally lowered to meet the potential of these weaker communes, right? What inspires a sommelier or other taste-making wine professional to put a Cheverny, Grüner Veltliner, Verdichio or a Navarra by the glass? Wines like this are obscure but of high quality they’ll tell you, and they are bringing their customers an experience and a value that they would certainly have little chance of otherwise finding. Correct on all counts. What do they see when they look at our home state’s truly fine wines? I’m not going to dig up the old chestnut of Loire restaurants selling only Loire wines and Bordeaux restaurants selling only Bordeaux wine. We know that New York is cosmopolitan to the utmost, and not in the least bit provincial. Besides, I’d even be willing to suggest that our placement near to the Big Apple is an unfair advantage we haven’t even exploited fully. So why are our wines termed “great...for what it is…” so often? Are expectations lowered for New York wines, like other minor regions? I believe our circumstance is self-inflicted. We (often) fail to support our legitimate claims to greatness by failing to meet our customers’ expectations of quality versus price. Unstable and illogical pricing is further compounded by a varied, random mix of world-class wines with inferior wines. That is auxiliary to a difficult-to-fulfill and difficult-to-maintain supply chain. Further, we haven’t fully embraced the tools that bring us closer to the end-user of our product (like social media) and we’re not evolving as quickly as other industries. By simply attempting to meet our customers’ expectations at a business level, fiscally and logistically, we start to market ourselves properly. Simple postures support this. Availability is good for the reputation of an emerging region. Wineries (in New York) should commit to wholesale distribution. Self distribution is more profitable in the short term, but ignores long-term planning, diversification of sales and brand building. Availability of product in a wide area, and with regular delivery makes sales easier and ensures greater visibility of that product and the region. Wholesale should be an integrated part of the winery’s business plan. If the winery waits for folks to show up at the front door, they’ll wish for wholesale when gasoline hits five or six dollars a gallon. Professional retail and restaurant buyers demand variety, but they want fewer vendors too. Let your distributor do the driving, and put boots on the street to bring the message directly to the gatekeeper. All of that said, there will always be family farms of a small stature (and varying quality levels) that distribution means nothing to because they make a fine living for themselves. That works for them, but they are not part of the greater question of regional ascendancy. Quality leaders can be found everywhere but while these farms may lead locally, they will fail to gain reputations in the broad market. Conversely, those who embrace a wider stance over the broad market dominate the message, regardless of their relative quality. Resistance to small brands by the wholesale distributors is mitigated by a committed producer. That is, the winery who hires a salesperson to aid the distributors’ work, and sets pricing that delivers uniformity and fairness, all balanced with logical expectations. If you aren’t over-delivering, you are under-delivering. Wineries (in New York) must commit to pricing policies that are fair, consistent, logical and distinguish quality -- and by fair, I mean to the winery and to the consumer both. Resist the urge to raise prices, and instead, make more wine if you are selling all of it consistently. Regular price manipulations walk a very fine line between gouging and maximizing profits and one should err on the side of the end-user. Consistency of price builds loyalty in all corners of the marketplace, while fluctuations confuse even your biggest fans. Your pricing should have enough room in it to respond well to changing market conditions. The market always makes room for a wine that delivers fairly in quality and value regardless of its actual price. Ultimately, we may find that producing less wine of better quality at higher prices is easier than taking on the world at $15 a bottle -- or even less. Over-deliver on your packaging materials too. Too often our wines are packaged in sixty-five cent bottles of pale green glass and silicon closures. For just a couple of dollars more a case, punted glass, updated labels and real capsules show integrity and pride, and elevate the consumers’ experience from the point of purchase. There was a time, when cheap packaging meant some kind of authenticity because, after all, the proof was in the bottle. Those days are long gone. And over-delivering also means engaging the customer warmly, personally and consistently. If we learned anything from the NYCR's Brian Sedgwick experiment it’s that it’s possible to be too buried in work to realize that the customer is standing right there wanting to be recognized and welcomed. I’m afraid that too often it’s the coolness of the reception rather than the climate visitors remember, but we’re changing that -- and social media and healthy competition is pushing us in the right direction. Improving the vineyard set. Simply wanting to be world-class doesn’t make it so. By continually striving to improve our wines and the vines that produce them we are making investments in the future of our state’s industry. Hybrids -- which many agree are inferior to vinifera -- aren’t going to immediately go away, and when possible they should be replaced by superior varieties. Repackaging hybrid wines, as well as inferior vinifera wines, as proprietary wines makes a great deal of sense. Cash-flow wines like these bring razor thin margins most of the time while damaging the region’s reputation; however they are often an important part of the economic landscape, for the small and large operators. Repackage the hybrids into another Red Cat (a brilliant brand) or a Winter White and you can build a new business model and a new revenue stream that doesn’t make excuses and doesn’t pretend to be something it isn’t. A Traminette may get seven tons per acre but even a well-made one isn’t going to get a 90 in the Wine Spectator and it isn’t likely to be at the Modern by the glass. But the respectfully made, traditional, unique, and frankly spectacular riesling might. It is a rare thing indeed to find a varietally labeled hybrid wine that is universally celebrated, aside from the now ever-present vidal ice wines -- although I can think of a baco noir or two. It is possible to produce hybrids for fun and profit, but it requires a much more honest assessment of the resulting wines. Great wine made next to generic hybrid wine is a high-wire act that requires expert branding and marketing. It is difficult work to say the least, and we should be working towards an all-vinifera New York as quickly as possible. Improving our vineyard set means improving our clones of vinifera too where applicable. Now is the time to start. Let it be said though that most Long Island producers do not struggle with questions relating to vinifera versus hybrids -- rather they struggle with the unique problem of presenting to the public older vintages. Here we walk the delicate line between inventory that doesn’t move quickly and selling the benefits of aged wines to the consumer, while knowing full well that the truth lies somewhere between the two. Stop complaining about the Californians. It isn’t productive to publicly rail against high-alcohol and highly extracted California wines; it just sounds like an insubstantial argument for distinctiveness. Worse, it may estrange customers who enjoy both New York wines and California wines, which is a lot of them. California, in production for about as long as New York, has managed to define its own style, create a massive domestic and global market for itself, and meet the world’s wine buyers at every level of quality and price. And they manage to do that, right in our front yards, and from 3,000 miles away. They are also forward thinking enough to replace Ruby Cabernet and other inferior varieties, set high standards for sustainability, elevate and innovate packaging materials, and more recently throttle back on new oak and high alcohols when they see the tide turning against that. Why are we floating in the tube while they drive the boat? A better idea is to stop making any comparisons to other regions. Let’s leave that to the spectators, enthusiasts and fans of our wines. Let’s see what the world thinks they taste like before we urge them in one direction or another. Sometimes I wonder how many “average” consumers of New York rieslings and chardonnays can actually sit down and compare them to notable Germans and Burgundies. Probably not a lot. Just as most consumers can’t compare our merlots to Pomerol with much authority. They can, however, compare them to California merlots so perhaps our arguments should be made from the glass, not in ardent diatribes meant to embarrass our Left Coast peers and their warmer climate. Expectations for New York wines are exactly the same as every other wine region in the world -- thankfully. The sooner we realize that the better off we’ll be. It’s meeting the expectations of the world that will decide whether or not our reputation is defined by phrases like “for what it is…” sooner than “world-beating”, “great value”, “emerging region”, or “unique terroir.” We don’t need to continue a futile search for identity, or worse, promote an ersatz identity invented by a PR firm. Rather, we need to let our improved reputation descend upon us organically in terms laid out by an appreciative world. The gatekeepers of the industry aren’t blind to our existence, nor are they bigoted against the local wine scene. And the best of them don’t need a PR firm to remind them where we are located. We will learn from them by examining what they do buy for their by-the-glass programs and their retailer case-stacks and we will adjust to meet them -- because so far, trying to make them change their course to meet us hasn’t entirely worked. The emails and comments from readers has already been overwhelming. Lenn thought it would be interesting to share a selected comment from time to time, and we encourage NYCR readers to share their thoughts as well. This comes from a man named Wolf Tinz. I don't exactly know where Wolf lives, but I found his email extremely moving. Some readers have already told me they plan to join us for the official book launch event this coming Saturday, April 23, from 4-6 at the New York Wine and Culinary Center in Canandaigua. Tickets are still available and two strapping winemakers are joining me to pour their wines and chat. We'll have some great food, too. Thanks so much for reading and supporting the book. I'll let Wolf take it from here. I would like to compliment you on your new book “Summer in a Glass”, but I must relate a story to put it into context, so here it goes. Last week was my wife’s birthday. I gave your book to her last Thursday morning and she buried herself in the book and finished it the same day. That evening we went out to celebrate with our good friends Peter and Hannilore, an Austria toolmaker and tool and die shop owner who befriended us some years ago. All through dinner Cecil gushed about the book she just read knowing they also have a deep interest in wine. At the end of the evening I reminded them that Saturday was my day to cook (we have a weekly tradition where the four of us all take turns to acting as chef of the day). “Yes, two that I can give as gifts and one for me”. Your book has given us a new appreciation for the wine and winemaker of this region and we will surely pay more attention to the up and coming wines of this area. Its conversational style made it an easy and enjoyable read. Thank you also, for your contribution to promoting the evolving local wine industry. People need to know there is more to the local wine industry than Crackling Lake Niagara and jug wine. We've got some producers that we're including for the first time, which is always fun. For our Basic-Level Members this month, we have a Finger Lakes riesling and a Finger Lakes Cayuga White -- yes, a Cayuga White. Lucas Vineyards 2009 Cayuga White may very well be the finest example of the hybrid variety I've tasted. And it's a great value in a spring or summer sipper. Apple-pear aromas dominate with layers of white flowers and candy coating/confection. It is straight forward on the palate with forward, slightly candied apple-pear flavors. It could be quite sweet at 2.75% RS, but it's balanced very well with brisk acid. Our second wine for the Basic Level this month is Hunt Country Vineyards 2009 Semi-Dry Riesling. It starts out with juicy, just-ripe pear and white tea aromas with just a little lime and honeysuckle. Well balanced and mouth-watering on the palate, this off-dry riesling brings a bit more lime on the palate to go along with the floral and pear flavors. We keep with the over-delivering them with our Premium-Level wines this month as well. Sherwood House Vineyards 2005 Merlot is medium-to-full bodied and offers both fresh and dried cherry flavors with underlying tobacco and dried herb character. There is a dose of toasty oak here too that spices the wine rather than overwhelming it. The tannins are of medium intensity and are well integrated. Acidity brings a certain freshness. Earthy and dried cherry notes re-emerge on the medium-long finish. Our second wine, Swedish Hill Winery 2007 Optimus is 42% cabernet sauvignon, 33% merlot and 25% cabernet franc -- all grown in the Finger Lakes -- and we've just been waiting for the winery to release it so we could include it. On the nose, there are black plums and blueberries with accents of tobacco, dark chocolate and baking spice. Ripe, well-integrated tannins frame similar flavors -- plums, blueberries, tobacco and chocolate -- with the addition of spices reminiscent of cola and just a little vanilla -- while subtle acidity enlivens the medium-bodied palate. What’s smaller than micro, more local than local, and “craft-er” than craft? Nanobrewing, of course! The national trend toward tiny, uber-cool, garagiste breweries is thriving in New York, with several nanobreweries already open in the downstate area and across the state, and many more in the works. Buffalo’s first nanobrewery, Community Beer Works, is set to open by the end of the year and is already generating plenty of excitement in the region for its mission to “embeer” the community with off-the-wall, exciting beers made from ingredients sourced as locally as possible. Now a collective of seven part-owners of whom five are regularly involved, Community Beer Works is well on its way to opening in 2011. They’re delicious brews; the saison in particular shows a gorgeous nose of apricot cream and a velvety, smooth palate with a dry, snazzy hop finish. Editor's Note: For some background on hydrofracking in the Finger Lakes, please read our previous post on the topic. In the fall of 2009, as a member of the Board of Directors of the Keuka Lake Association, I was appointed to a new committee to study the process of “hydrofracking.” It was being proposed in the Finger Lakes to extract natural gas from a shale layer located beneath the area. Hearing that “hydrofracking” is a much more intense and complex process than the current process of extraction, we were anxious to learn more about it. We had heard reports of major disruptions to farms, roads, streams and water wells in northern Pennsylvania where they had already begun hydrofracking. The gas industry literature explains that the word “hydrofracking” is short for high-pressure, high-volume, slick-water, horizontal hydraulic fracturing. In December of 2009, it was discovered that Chesapeake Energy, the largest natural gas exploration company in the country was planning to pump hundreds of millions of gallons of toxic hydrofracking waste water into an old gas well located above the shores of Keuka Lake. Why would they want to do that? We needed to learn more about the entire process of hydrofracking. Most people are familiar with the way natural gas has been extracted in the past. Many landowners have had gas leases in the past. Many still do. Up until now, gas drilling was fairly safe and the disruptions were generally worth the inconvenience because most people knew they were temporary and had few long-term detrimental effects on their land. Besides, if gas was found, landowners (usually farmers) would eventually receive some royalties that would help with the bills and make it easier to stay in farming. People also knew that the money was temporary and the well would eventually run dry and it would be capped and done with. Rarely were there problems with ruined water wells and poisoned land. There was only a small amount of water used in the drilling operation then. The most common problem was the large amount of salt in the cuttings (material brought up during drilling) and the brine that was recovered. Even if the brine ran onto the ground, it eventually was washed away by the rain. Usually the brine and cuttings were trucked away to somewhere else. When the well ran out of gas, people went back to the way things were before. Few people have a problem with this type of gas extraction. A few years ago, it was discovered that a layer of shale beneath this part of the country called the Marcellus Shale has a huge amount of natural gas embedded in it and the recently developed process of hydrofracking might be used to extract the gas. The process had been used in Texas, Colorado and Wyoming in similar rock strata. Now, when the gas companies hydrofrack a well, the process is nothing like the drilling done in the past. For example, instead of 1-2 acres of land bulldozed for the wellpad, it is now 6-10 acres leveled. Instead of one vertical well drilled per pad there are now 4-12 wells drilled horizontally from a single vertical well. Instead of a handful of trucks of water per well, there are now around 10,000 truckloads of water, chemicals, sand and equipment per well pad (average 8 wells per pad times 8,000,000 gallons water per well divided by about 6,000 gals. per truckload). All that water is mixed with sand and chemicals, many of them toxic. This mixture is pumped down the wells under extreme pressure to fracture and pulverize the shale layers. About half of the poisoned mixture is forced back out of the well by the pressure of the gas released from the shale. It now also contains high levels of salts, heavy metals and pulverized, often radioactive, shale mud. It is now called “flowback” or “produced water” (information from American Petroleum Institute). There is currently no practical large scale way to completely decontaminate this “produced water.” Thousands of additional truckloads are currently needed to haul it somewhere else. Officials in other states frowned upon these practices so the gas companies are injecting some of it down old wells under high pressure into deeper layers below the Marcellus layer. This injection process has been associated with thousands of small tremors in Arkansas and Texas ranging up to 4.0 on the Richter Scale. The injection in these areas has been temporarily halted. If we ask the gas industry people about hydrofracking, they say they have been doing hydrofracking in New York State for over 40 years. This is a very misleading statement. They have been pressurizing some vertical wells using relatively small amounts of water -- sometimes mixed with sand -- over the past 40 years. For the last 40 years the gas companies were not doing high-volume, slick-water horizontal hydrofracking using millions of gallons of water per well mixed with chemicals and sand. This was first used according to the gas industry starting in 1999. Unfortunately, our state legislature representatives and some of our congressmen have been fed this false information and fiercely repeat it. They don’t even acknowledge the difference when the facts are explained it to them. I wonder where their campaign money comes from? Luckily some of the DEC staff people do understand the difference. Some of you may have decided not to renew your gas lease and are relieved that you won’t be drilled on. I applaud you for that. It is a great first step. However, in New York, we are bound by the “Unitization” rule. This means that the gas companies can determine a 640 acre (square mile) area that they define as a unit and they only have to sign up 60% of the land in the “Unit” and they can draw the boundary lines to suit themselves. This means that a gas company may still drill under your property from your neighbors leased land and possibly destroy your clean water. They can locate the rig as close as 100 feet from your house, if your house is near your property line. Often the gas companies’ representatives, known as landmen, tell the landowner that they are the only one in the unit who has not signed a lease. This is often completely false. Remember this: Even if you sign a lease and then change your mind, you can cancel the lease if you do it within three days and return any money they gave you at signing. Unlike before hydrofracking, once they decide to drill into the Marcellus shale on your farm, your farm is entirely under their control. It becomes an industrial site. There will be constant noise, trucks, fumes, dust as well as occasional spills, accidents etc. 24 hours a day, seven days a week, for years on end. With thousands of trucks traveling each day, the roads are almost impassible at times. There is a lot of dust, mud and toxic fumes. Few visitors will likely venture near these areas. Those of us who depend on visitors will soon be out of business as will many other businesses that benefit from tourism. If they drill on or near our vineyards, we will likely not be able to work the land or sell the contaminated fruit. According to DEC records, over the years, a significant number of gas wells have eventually contaminated local water wells, aquifers or streams. Hydrofracking increases these odds. If our goal is to continue to grow grapes or produce wine, and live in this beautiful unspoiled region where we take clean water and air and fertile land as our right, we need to refuse to lease our land to these gas companies until they can develop new methods that are safe, or, go back to older methods that were safe and do not destroy our way of life and our land. We need to take this position, if we want our children and grandchildren to be able to live here and grow healthy food for a hungry planet. I’ve read a couple of books recently about the coming shortage of fresh water. Most of the farming in the western United States is irrigated and those areas are starting to run short of water. Within a generation, most of that production will have to be grown somewhere else. Here in the Finger Lakes we have some of the cleanest, most abundant fresh water in the world. We have a temperate climate and fertile soils. Many of us believe this region is destined to once again become the breadbasket of the Northeast. Farmers will soon be able to make a good living growing food again. We cannot afford to lose another acre of farmland here to gas wells or to developers. The gas companies say that hydrofracking in New Yorkwill help make America energy independent. We will be able to stop importing oil from the Middle East. With the hydrofracking already being done, there is now a surplus of natural gas and the gas companies are shipping it overseas as fast as they can build export terminals. It’s not really about America’s future, it’s strictly about maximizing corporate profits. Many of these companies are owned completely or in part by foreign companies already. Many of the energy companies pay no Federal income taxes and receive billions in tax credits. Does that make sense for America? If we as Americans are serious about ending our dependence on fossil fuel and the Middle East, then we need to cut out the government subsidies and tax credits to the largest richest energy companies in the world and invest those billions in renewable energy research and energy efficiency right now. This will truly create millions of permanent local jobs! Now, I know that the official policy of the Farm Bureau has been pro-drilling. That policy was established before widespread information was known about what really happens to your farm with hydrofracking. I believe we can change this grass roots policy if we simply show up at the local policy execution meetings and vote. Believe me, I know how difficult it is at times to make ends meet on a farm and have many friends who had to sell their farms. But we are now reaching a time in the world’s history when the world can no longer feed itself. Recently, grain and food prices around the world have been rising dramatically. Unusual weather events have disrupted growing cycles. We see the beginnings of a new food movement already. Yates County has the largest percentage of organically farmed acreage of any county in the state and among the most diverse types of crops. More people want to know where their food comes from and the “Buy Local” trend is growing. However, just like food from Japan now, several food store buyers have already announced they may not buy food from areas where hydrofracking is being done. This would devastate many of our farmers if hydrofracking were allowed in the Finger Lakes. Another consideration about whether to lease your mineral rights is the policy of some banks not to loan to property with gas leases on them. In Pennsylvania, a number of banks are curtailing new loans. Chase and Bank of America and several smaller banks have already made that policy. Others I’ve talked to in New York do not currently have any restrictions, but are telling me they are discussing the situation as they contemplate the risks. Please don’t consider taking the risk of destroying your farm forever and possibly even your neighbors' land for a chance of quick cash. Our family has been on this land since it was cleared in the early 1800s. My grandfather was the third generation. My grandson is the seventh. It is not such a long time. My term as a director of the Keuka Lake Association has ended, but my concerns about hydrofracking continue -- and grow. If hydrofracking is allowed in the Finger Lakes, it is clear to me that the disruption to roads and farms will decimate tourism and its related businesses. Wineries that rely on visitors will soon fold. The local economy will shrivel. After a decade or two, the gas and the drilling rigs will largely be gone and we will be left with much land that is no longer farmable and many areas with poisoned soil and water. Who will be responsible for repairing the damage and cleaning up the mess? How will we make a living then? Do keep this in mind as we each weigh the possibility of some short-term cash for a few, against the possible long-term loss of the value and the use of our land forever. You may have already heard that Finger Lakes rieslings will be featured on episode 2 of Vine Talk with celebrity host Stanley Tucci. In this first video clip, Ray Isle of Food & Wine introduces the region and talks about the influence the lakes have on the vines and wines. Tickets are still available for our charity wine event on April 30 from 1-4 p.m.
We are partnering with Peconic Bay Winery and Lacrosse for Autism to benefit The Cody Center for Autism and Developmental Disabilities at Stony Brook University. You can get all the event details in our previous post. Tickets are $40 with a significant portion of that going directly to the charity. Join us for an afternoon of fun and enjoy $2 glasses of wine (every penny going to charity), an array of wine-friendly snacks, 10% off bottle purchases and a silent auction. Some of the 86 acres of vines at Sawmill Creek Vineyards rise so steeply that a machine harvester can not safely venture between the rows. The site on the southeast side of Seneca Lake provides fruit for nearly 30 wineries every year, and its combination of slope, location and vineyard management has earned Sawmill Creek a strong reputation. Recently a fascinating question arose in the mind of Dave Whiting, winemaker at Red Newt Cellars: How would the wines made from Sawmill Creek in 2010 show, side-by-side, in a tasting featuring many of the producers who use this fruit? Surely there would be some similarities. The hand of man can not fully obscure nature, nor would these winemakers wish to do so. But it's also true that they employ different methods in making wine from this same fruit. So a group of winemakers convened at the Hector Wine Company for a comparative event. 2010: "A spectacular growing season"
The length and warmth of the 2010 growing season produced tremendous potential in red wines in particular, but seeking out nuance and difference was a challenge for the winemakers. "The 2010 had great quality across the board, with concentration, color and varietal strength," said Tim Moore, winemaker at Inspire Moore Winery on Canandaigua Lake. At Rooster Hill on Keuka Lake, winemaker Barry Tortolon finds 2010 to offer a spectacular vintage without becoming overripe. "I did not have any over-the-top sugar levels but overall ripeness was the best I have seen in a long, long time," Tortolon said. "Even at at this early stage in their lives the reds are already showing good." "We are going to see some phenomenal reds from the 2010 vintage," said Phil Arras, assistant winemaker at Damiani Wine Cellars. He pointed to the tannic structure and clear, powerful fruit already present in the wines. But Arras added, "At this point in the life of a red, they are in a very reductive and closed down state, and it's hard to pick up on a lot of subtle differences. To say that some had brighter or bigger fruit than others would be a bit misleading at this point, since many are in a very closed and tight state." There was, however, one clear difference that was impossible to miss. "For the reds the most obvious differences seemed to be the use and type of oak," Arras said, echoing a common sentiment among the winemakers who attended. "I must say that winemaking methodology has a big impression on outcome, especially on red wine production," Moore explained. Finger Lakes winemakers use a wide range of oak, from new to neutral or old, and from American to Hungarian to the most expensive, French. Some winemakers described the sweet or smoky notes of oak's influence on many of the reds. All expressed optimism that with time, those components will weave together with the fruit to offer bold, balanced wines. "I'd really love to do the same tasting again in about three or four years, when the 2010ss have been in the bottle for a few years and we can really see the differences in the finished products," Arras said. Indeed, the group made plans to hold this kind of tasting on a regular basis to evaluate the differences. Going a step farther, Moore explained, "The group talked about making some universal lots next year to evaluate the terroir of Sawmill Creek Vineyard." Tortolon praised the chardonnay and sauvignon blanc from Sawmill Creek, while others are already eager to see the development of riesling. Tim Moore announced plans to create Inspire Moore's first-ever Reserve wines with the 2010 vintage. Tina Hazlitt, Sawmill Creek's office manager who helped coordinate the event, said there was a lot to learn for the growers, too. "We feel more connected to the wines and winemakers after events like this," she said. "It's so interesting to see how each brings their own approach. And these are relatively young winemakers who obviously want to learn as much as they can. We think they're doing wonderful things with Sawmill Creek fruit." Hazlitt also said that Sawmill Creek's goal is to eventually work with only about a dozen wine producers in the region, which would further strengthen the growers' connection to the wines. She envisions signs on each block of vines, explaining which Finger Lakes winery will use the fruit. "That would make us proud," she said. There will be a lot more to learn when this group reconvenes in a year, or three years, or five years. But this first event shows the spirit of exploration and inquiry that any wine region needs to become truly successful. Now this is a wine that has enjoyed quite a bit of local attention in recent months. I first tasted it when it won the red wine flight at "The Judgment at Riverhead" back in November. Then in January, it was named NYCR Non-Merlot Red Wine of the Year. And just a few weeks ago, I included it in our March 2011 Times Union New York Wine Club shipment. Sometimes wines hype is hollow and just not warranted. With Roanoke Vineyards 2007 Blend One ($43) that is decidedly not the case. This is a special wine from grapes grown during a special season. Roman Roth, perhaps best know as the winemaker at Wolffer Estate and for his private label Grapes of Roth, and Roanoke Vineyards' co-owner Richard Pisacano have worked together for many years at Wolffer where Pisacano is the vineyard manager. Given their personal and professional relationship -- one founded on mutual respect and admiration -- it's no surprise that Roth makes the wines at Roanoke where the Roth-Pisacano collaboration reaches its pinnacle. There is a certain, hard-to-define artistry about the Roanoke Vineyards wines. One gets the impression that Roth is encouraged to take risks in the cellar, to push the envelope and extract every last bit of character and flavor from Pisacano's grapes. Full bodied and extremely well balanced, the palate shows an intense, ripe core of berry and plum fruit accentuated by classic North Fork earthiness, a light sprinkling of herbs, spice and just a bit of caramel-vanilla. Ripe and well-integrated, the tannins are full, but rounded. The finish is well-balanced and lengthy. This is a wine that shows the power -- and grace -- that the best Long Island reds display. Why isn't there more traditionally made sparkling wine in the Finger Lakes? Yes, I know it's more expensive to make than many wines. Yes, I know that it requires a serious investment time-wise. And yes, I know that the prices wineries need to charge for methode champenoise wines may be higher than some are willing to spend. But when done well, Finger Lakes sparkling wine shows so much potential. 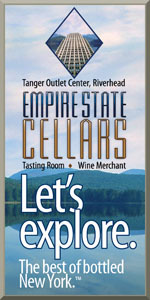 Take Lamoreaux Landing Wine Cellars 2006 Blanc de Blanc ($25) for example. They don't make it often -- the last one was from the 2001 vintage -- but when they do, it's a standout in an admittedly and sadly narrow field. Made with 100% chardonnay, this 2010 NYCR Wines of the Year finalist shows crisp aromas of pear, Golden Delicious apple with hints of toasted brioche and marzipan. Dry and very apple-y on a medium-bodied palate, there is a faint nuttiness to the apple and apple skin flavors with brioche lurking in the background. Super-fresh acidity really dries out the finish, which lingers nicely. The Best Wine Comes From... a Vintage Like 2010? "The best wine comes from a warm vintage in a cool climate." That's something Fox Run Vineyards winemaker Peter Bell is fond of saying. It has practically become a regional mantra. And if Bell is right, then one would expect 2010 to produce stellar wines. But the Finger Lakes is not Bordeaux, and there is no early rush to judgment on the red wines from a vintage like 2010. That will come with time. Riesling, however, will start hitting the market in mere weeks. And of course, no wine is more vital to Finger Lakes success than riesling. So what to make of 2010 riesling? More than most vintages, this will also require a little more time. That's because 2010 was not a warm vintage, but a hot one, relatively speaking, and a long one, but not a dry one. Some winemakers tell me they chose to add acid; others are adamant that acid additions were unnecessary. We'll take Bell's advice and give the 2010 rieslings more time to evolve. "I'm optimistic, if guardedly so," Bell said. Tank samples show a variety of styles of Fox Run's 2010 rieslings, and some are more forward than others. "We'll have a much better idea in June, I would think," Bell continued. "The potential is very high, but I prefer not to speak in absolutes. We'll see." Some consumers are already asking if 2010 will resemble 2007, another long and hot year. The answer will vary from site to site, but in general, there will be significant differences. Drought marked 2007, which has produced more petrol character in the region's rieslings, even at a young age. That's less likely in 2010. "It's too bad that Long Island cabernet is never any good -- and can't age." I don't make a habit of quoting myself in blog posts, but this extremely sarcastic comment got quite a few laughs at a recent tasting of older Long Island wines. Just about every wine we tasted elicited metaphorical, if not actual, giggles actually -- the giggles of people in on the secret. The secret? Long Island wines can not only survive a decade or two in your cellar, they can thrive. I consider myself lucky to be in on that secret and to have been at a dinner gathering that proved it, organized by Charles Massoud, co-owner of Paumanok Vineyards and Jeff Jeff Filippi, a long-time supporter and consumer of local wines. Also in attendance were Charles' wife Ursula, his son (and winemaker) Kareem, Jeff's wife Nora, Louisa Hargrave (pictured right) and her daughter Anne. As we gathered at Luce-Hawkins there was a mounting, palpable verve to the proceedings. This dinner had been in the works for at least a year. The day was finally here. How would the wines show? In all, we had dipped into our respective cellars for 26 wines -- from 1990 through 2001. Was it a lot? Absolutely, but the goal wasn't necessarily to open all of them. After tasting four whites before we sat down, we'd start with the oldest wines and move forward. If a bottle (or three or five or more) wasn't any good, we had enough wine to simply open another. Any we didn't get to, we'd save for the next dinner. There will definitely be a 'next dinner' but we'll have to pull more wines. We opened all of them -- but wanted to, not because we had to. Two were corked, but I was surprised at the life the rest showed. I'm not saying every wine was a stunner, but there certainly weren't any throwaways in this lineup. I'll get to my notes for each individual wine below, but first some higher-level thoughts that I came away with. Cabernet is Indeed King. There is little doubt that the best wines of the night were heavy on cabernet sauvignon. They consistently showed more complexity, intensity and life. A Little Matter of Vintage. We all know that vintage matters of course, but the cabernets wouldn't have shown nearly as well had we not been tasting wines from top vintages like 1993 and 1995. Cabernet isn't easy on Long Island, but in the best years, from the best producers, they might be the the region's most exciting wines. They certainly seem to have the most aging potential. Ageability is Found Among Top Producers. We weren't tasting "typical" local wines here. We tasted wines from Bedell Cellars, Hagrave Vineyard, Jamesport Vineyards, Gristina Vineyards, Lieb Family Cellars, Paumanok Vineyards, Peconic Bay Winery, Pellegrini Vineyards, Raphael and Wolffer Estate -- a group that includes many of Long Island's top producer, and certainly most of the best around in the 1990s. I wondered aloud what our experience would have been tasting wines not from the top-tier wineries -- but does it matter? When people discuss the longevity of Bordeaux, they aren't talking about the bottom rung of wineries, are they? The Local Industry Needs to Do More of These. I was surprised to hear that this type of thing -- so older many wines from so many different wineries -- isn't done very often. In fact, it doesn't sound like it happens at all. How can one discuss how well Long Island wines age without experiencing it? I hope that changes and I'm volunteering a variety of 2000 and 2001 reds that I have in my cellar for another tasting like this in the near future. 1997 Hargrave Chardonnay: short and a bit oxidized (bruised apple) but if this were Jura, you'd dig it. 1999 Lieb Pinot Blanc: White of the night for me. Still a certain liveliness. Layered tree fruit, nutty and apple skin. 2001 Wolffer Chardonnay: Austere. Lacks fruit. Wood and acid. Some orange peel. 2001 Peconic Bay “La Barrique” Chardonnay: Forward and mouth-filling. Honey and vanilla with roasted apple. Long but low on structure. 1990 Hargrave Vineyard Cabernet Sauvignon: Wow. Lively nose. Dried and plummy fruit. Tobacco leaf and minty. Not long, but great tannin-acid framework. Could age longer. Starred it in my notebook. 1993 Paumanok Merlot Grand Vintage: Mushroomy funk on the nose. Sweet bramble fruit with nice density and intensity. Hints of licorice that flourish with some air time. 1993 Pellegrini Merlot: Earthy with a little funk. Ripe, still very apparent tannins and sweet, high-toned fruit. Oak more apparent than Paumanok. Fennel frond note. 1993 Gristina Cabernet Sauvignon "Andy's Field": Hickory smoked ham, not a ton of fruit. A lot more tannin than expected. Austere. 1993 Bedell Cabernet Sauvignon: Two stars in my notebook and one of my favorites of the night. Complex with a melange of red fruit and classic herbal minty notes along with licorice and brown sugar. Tastes far younger. Maybe a little VA? 1993 Pellegrini Cabernet Sauvignon: Corked. 1993 Paumanok Grand Vintage Cabernet Sauvignon: Gave it three stars. Bright, complex with layers of fruit, spice and earth. Intense-but-smooth tannins. Tastes so young. 1993 Hargrave Vineyard Merlot: Simple. A little funk on the nose but it opens on palate. Soft. 1994 Jamesport Vineyards Melange a Trois: Clearly the first real dose of cabernet franc. Herbal/veg notes poke through. Lots of brown spice, nice structure. Fruit is a little raisined/dried, but higher toned. 1995 Jamesport Vineyards Cabernet Franc: Super spicy, bright and earthy. Lighter weight but nicely balanced. 1995 Jamesport Vineyards Merlot: Little bit of stinky cheese on the nose. Restrained fruit, good balance. 1995 Gristina Merlot: A little austere. Plenty of chalky, mouth-drying tannins, but also ripe red fruit and nice spice. 1995 Paumanok Grand Vintage Cabernet Sauvignon: Faint brett. Grippy tannins and gobs of ripe fruit. Minty notes. 1995 Bedell Cabernet Sauvignon: Some brett here too. Rich, more overtly fruity, but also with underlying mint. Many similarities with the Paumanok. 1995 Paumanok Assemblage: Cab sauv heavy (55%) blend with merlot (35%) and cab franc (10%). Gave it two stars. Beautiful, complex, lively, beautifully structured and has plenty of time ahead. 1996 Hargrave Vineyard QED (Quod Erat Demonstrandum): Grippy but not hugely ripe. A little woody over plum and cherry fruit. 1995 Sag Pond Vineyard Pinot Noir: (Wolffer Estate). Cloudy with some residual CO2. Weird saltiness with high-toned cherry and strawberry. 1997 Pellegrini Vintners’ Pride Encore: Lots of oak but nice ripeness too. Very dry finish. 1997 Raphael Merlot: Raw steak and umami on the nose. Little eucalyptus. Maybe a bit too much oak. 1997 Bedell Cabernet Sauvignon: Fruity with a savory edge. Complex and very together. No rough edges. 1998 Bedell Cabernet Sauvignon: Crunchy red fruit -- cherry/cranberry. Showing a lot of American oak. Tickets are now available for our charity wine event on April 30 from 1-4 p.m. I know that it's late notice, but if you're interested in joining us, the fine folks at H-C are offering these wines as a TasteNY pack for $38, including shipping. Call the winery at 518.392 wine to get your TasteNY pack. If you're not familiar with baco noir, this is a great opportunity to taste what I consider to be some of the best baco in New York. I'm excited that we've got regional wine bloggers from around the United States taking part, including Andrew Hall, Jason Rzutkiewicz, Brian Kirby, Sean Sullivan, Clive Pursehouse and our very own Bryan Calandrelli. Each will be hosting a tasting for other wine lovers and writers in their respective neighborhoods. Join us next Monday at 8 -- or keep an eye on the tasting via the #TasteNY hashtag. Bronchitis has kept me from doing any tasting over the last week or so, but on Sunday we stopped by Channing Daughters to pick up some wines -- including Long Island's first-ever Lagrein. It was a gorgeous-but-chilly day -- perfect for wine tasting had I been feeling better. Summer in a Glass is Released Today. Congratulations to Evan Dawson. Unless you're living under a rock, you've no doubt heard that my friend and colleague Evan Dawson has written a book about Finger Lakes wines and the people behind them, Summer in a Glass. Well, it's been a long time coming, but today is the official released day, and the entire NYCR staff would like to congratulate our brother in wine on the success he's already had and is sure to have with this book. It is virtually impossible for any of us to write an unbiased review of the book, so there won't be one here on the site. But trust me when I tell you that it's a book worth buying and reading. It's a quick read -- mostly because you won't be able to put it down -- and even if you only have a passing interest in wine, you'll still enjoy it. The Finger Lakes Finds Their Voice - The darkly comedic, wine-soaked, buddies-on-the-road fiction book has already been written. If another similarly resonating wine book were to find market success it might be non-fiction, combine elements of self-discovery that occur in “Coming of age” stories, and provide a rooting interest for the underdog. And now, that book has been written, too. There are several different ways one can approach writing about a wine region… Dawson’s method is by far the most engaging to read. What makes these winemakers spring from the page in novelistic fashion is the way Dawson dramatizes what pushes them at a basic, human level. Most books about wine that I have read have been just that – books about wine. The authors attempt (and sometimes succeed in) the arduous task of conveying in print the description of offerings from a region, winery, or vintage. Often these works are filled with techno-babble and describe the tastes and smells of wines in terms that try to be objective, but are truly driven by the writer’s nose and tongue. Most books about wine are books about wine. Summer in a Glass is that, but so much more.